One of the most important aspects of home ownership is reducing the potential for water leaks and ﬂooding in the home. Whether it comes from failed sump pumps, a leaking water heater, frozen pipes, worn out appliances, or cracked foundations, water can cause major (and expensive) damage. Minimize potential water damage and maintain a healthy home by installing water leak detectors throughout your house. AcuRite Water Leak Detectors sound an alarm the moment liquid is detected, so you have a chance to take action and prevent basement ﬂooding. With the My AcuRite smart home app for environmental monitoring, you can even receive custom email and phone alerts for water leak detection while you are away so you can monitor home conditions online and stay one step ahead of water problems. Routinely clean your gutters to help prevent water from collecting around your home’s foundation. Periodically replace hoses, such as those connecting to washing machines and the ice maker in your fridge. If possible, make changes to the grade of your yard so rainwater drains away from the house. Have your HVAC system, water heater and other appliances periodically inspected by a professional. Keep tabs on the large trees in your yard, since roots can damage a home’s foundation. Check for condensation and corrosion on your pipes to locate potential plumbing problems. Installing a Water Detector inside your sump pump well can provide early warning that your sump pump has failed in a heavy storm and you are in danger of taking on water in your basement. 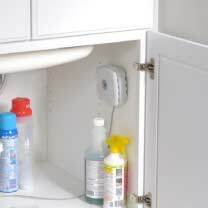 Know your home environment by simply positioning a Water Detector above the sump pump’s water line. When water rises above the normal level in the well, an alarm will sound to alert you to the issue. An AcuRite Water Detector can be strategically placed near potential leak sources in your home’s foundation, chimney, skylight or roof to get notified when liquid is detected. 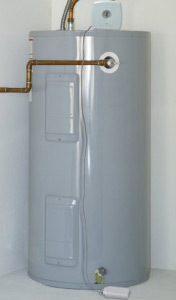 With proper placement in problem areas, it can also sense leaks from appliances like your water heater. Spaces beneath or around sinks, tubs, and showers may be susceptible to water leaks. An AcuRite Water Detector can provide pipe leak detection and some peace of mind. Having a washing machine or water heater leaking is bad enough. If it dumps a large amount of water in your home or the hose comes loose, that could be catastrophic. A Water Detector can alert you to minor problems before they become major ones. Spaces beneath or around pools and spas may be susceptible to water leaks. 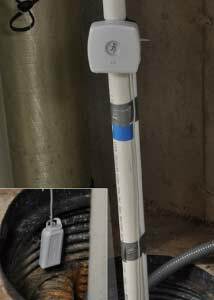 An AcuRite Water Detector can help you protect your patio, deck or other sensitive areas by monitoring for liquid underneath a pump, heater assembly or valves. Outdoor pipes are particularly vulnerable to leaks, since they are exposed to the elements. Freezing conditions outdoors and in garages can create plumbing problems and cause a pipe to burst. Early water leak detection can help prevent damage to a home’s foundation. 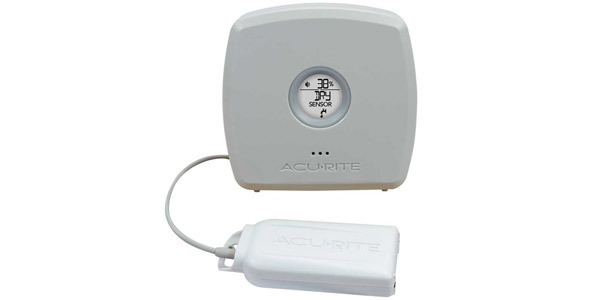 AcuRite Monitors measure ambient air temperature and humidity, and detect liquid intrusion where the Water Leak Detector is positioned (ex. beneath plumbing, areas where leaks are suspected, etc.). 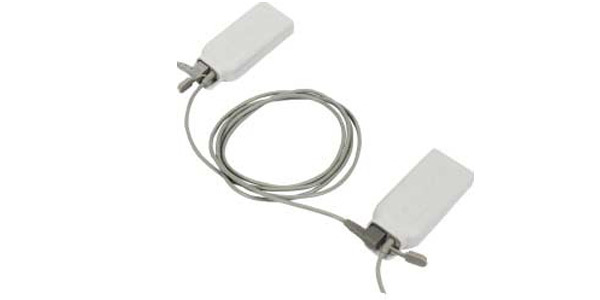 The Water Detector is positioned on a 5 foot cord, perfect for hard-to-reach places. The Outdoor Monitor features a weatherproof design and requires a display to function. 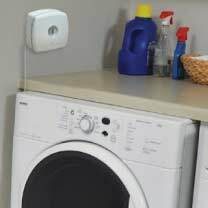 The Indoor Monitor (pictured) features a built-in display for viewing conditions, sounds an alert when water is detected and can function as a standalone unit or be paired with a display. 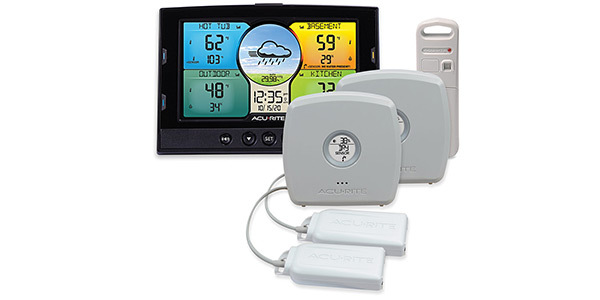 AcuRite’s Home Environment Display can be paired with up to three indoor or outdoor sensors with Water Detectors so you can track leak detection in multiple areas. The display sounds an audible alarm when leaks are detected. Leak Detectors can be combined into a "daisy chain" by plugging them into each other. This lets you expand your monitoring area or monitor different sources for potential leaks or flooding. Leak detectors can provide early warning when liquids or water are present.